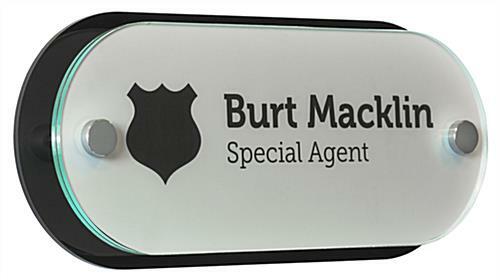 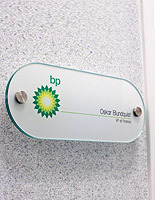 This name plate office door signage is a complete kit to create branded, 3D 10" x 4" oval signs that mount easily on vertical surfaces. 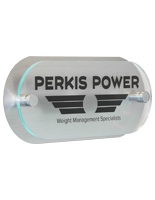 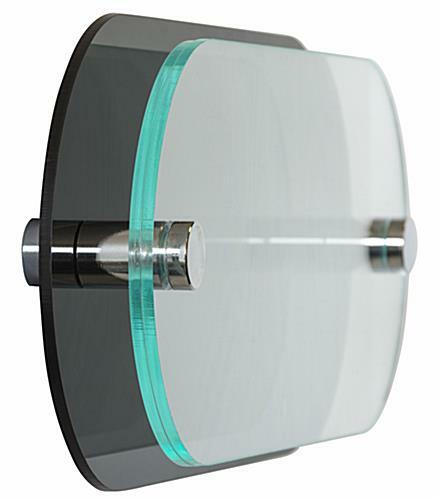 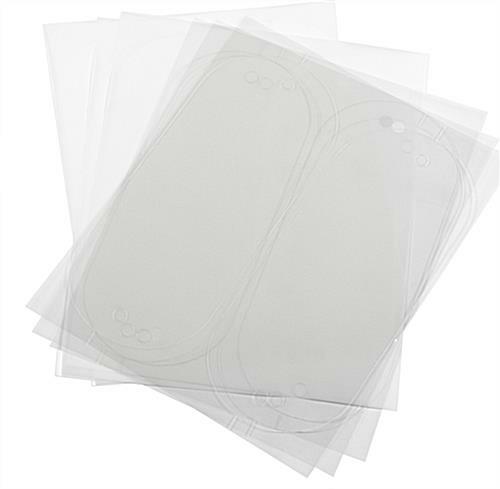 Each set comes with a black finish aluminum backer, dual clear acrylic plates with green edging, two chrome finish standoffs, and printing films. 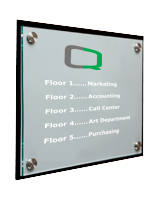 The economical office door signage is designed to match the look of tempered glass custom printed signs. 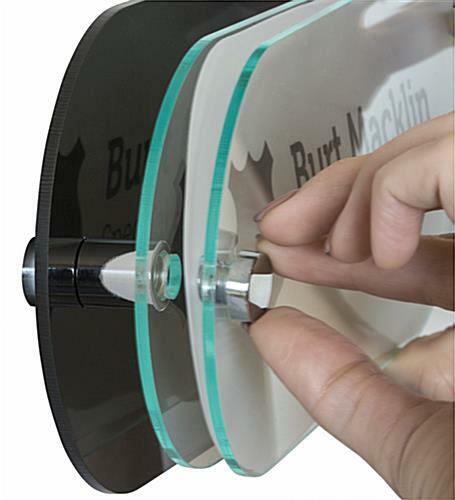 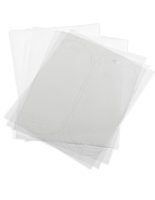 The 1.5" through grip standoffs create a 3D effect, while allowing printed films to be easily inserted and removed as needed. 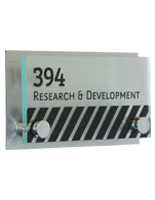 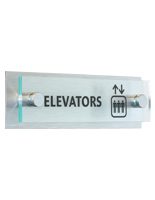 The changeable office door signage comes with 3 sheets of clear and 3 sheets of frosted printing films for graphics and wayfinding information. 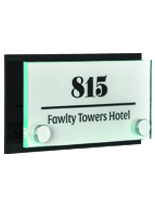 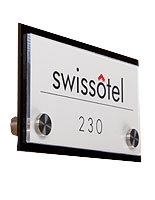 These printed oval signs with chrome finish standoffs help identify rooms, office occupants, and businesses in a modern, high-visibility style. 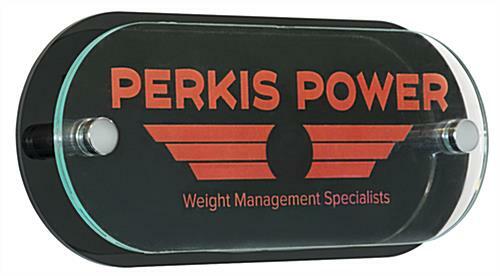 10.5" x 4.5" x 1.6"